“Our biggest concern is for the safety of civilians – including pregnant women, the elderly, small children and people with disabilities,” Mark Cutts, the head of the UN’s Office for the Coordination of Humanitarian Affairs (OCHA), told AFP news agency. 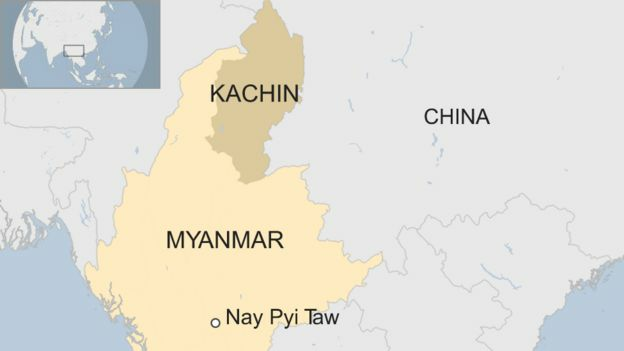 Who are the Kachin rebels? 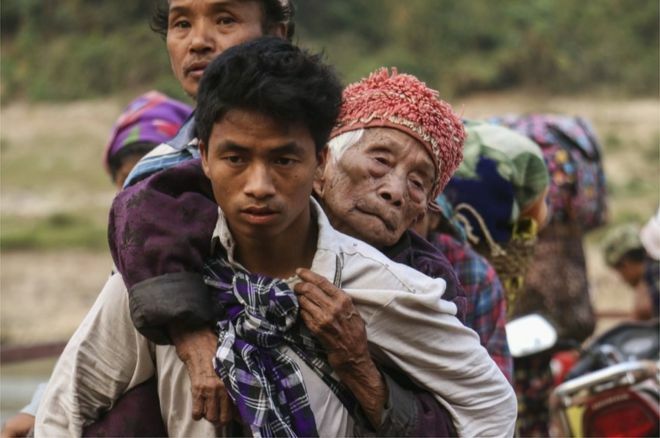 In addition to the Rohingya crisis in western Myanmar (also known as Burma), the country’s north has seen clashes involving other ethnic minorities. The Kachin, who are mostly Christian, have fought for greater autonomy in this predominantly Buddhist nation since 1961. 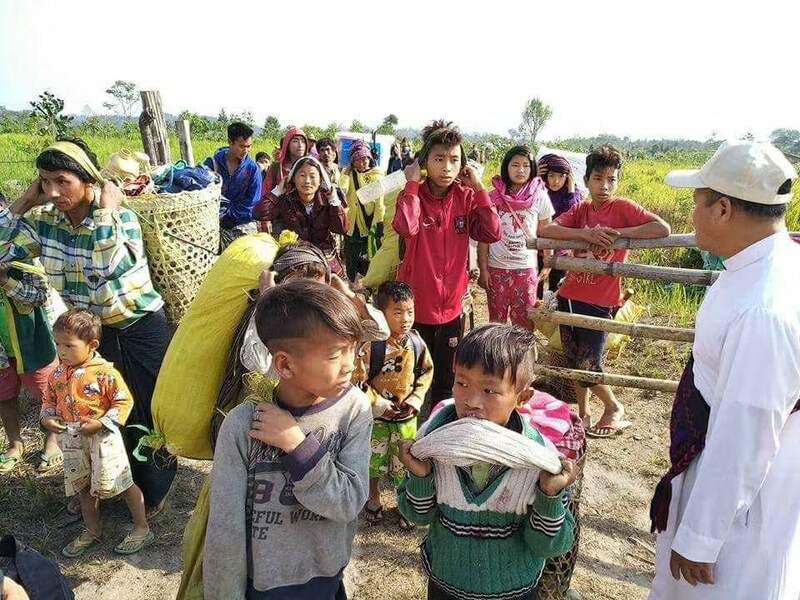 Across Kachin and northern Shan state, an estimated 120,000 people are displaced by the fighting. The Myanmar government has for the past six years pursued peace agreements with many other ethnic insurgent armies, says the BBC’s South Asia correspondent Jonathan Head. But fighting with the relatively well-armed KIO has continued, and they remain one of the most powerful rebel groups. Why the surge in violence? Sporadic fighting has taken place since a ceasefire broke down between the KIO and the military in 2011. Rights groups say the army has stepped up its campaign while global attention focuses on the Rohingya crisis, which has seen some 700,000 people flee to Bangladesh. In a report last month, the UNHR highlighted a “spike in human rights violations and abuses”, including extrajudicial killings, torture and sexual violence. What has the international response been? The country’s de facto leader Aung San Suu Kyi has been criticised for failing to end human rights violations and restricting access to aid in Myanmar. The UN has called on the authorities to stop dismissing reports of abuses in Kachin. Meanwhile, the US embassy in Yangon said it was “deeply concerned” about intensified fighting in the region in a statement on Friday. “We call upon the government, including the military, to protect civilian populations and allow humanitarian assistance to be delivered to those affected by the conflicts,” it said.